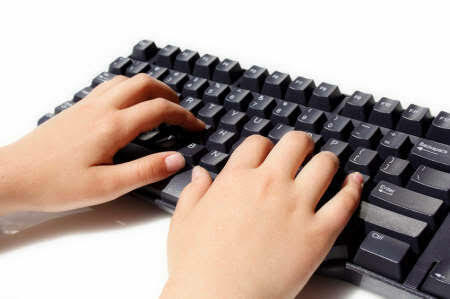 Most usefull computer keyboard shortcut keys with uses guides. 1 Alt+F File menu options in current program. 2 Alt+E Edit options in current program. 3 Alt+Tab Switch between open programs. 4 F1 Universal Help in almost every Windows program. 6 F5 Refresh the current program window. 7 Ctrl+N Create a new or blank document in a software program. 8 Ctrl+O Open a file in current software program. 9 Ctrl+A Select all text. 10 Ctrl+B Change selected text to be Bold. 11 Ctrl+I Change selected text to be Ialics. 12 Ctrl+U Change selected text to be Underlined. 13 Ctrl+F Open find window for current document or window. 14 Ctrl+S Save current document file. 15 Ctrl+X Cut selected item. 16 Shift+Del Cut selected item. 17 Ctrl+C Copy Selected item. 18 Ctrl+Ins Copy Selected item. 21 Ctrl+Y Redo last action. 22 Ctrl+Z Undo last action. 23 Ctrl+K Insert hyperlink for selected text. 24 Ctrl+P Print the current page or document. 25 Home Goes to beginning of current line. 26 Ctrl+Home Goes to beginning of document. 27 End Goes to end of current line. 28 Ctrl+End Goes to end of document. 29 Shift+Home Highlights from current position to beginning of line. 30 Shift+End Highlights from current position to end of line. 31 Ctrl+Left arrow Moves one word to the left at a time. 32 Ctrl+Right arrow Moves one word to the right at a time. 33 Ctrl+Esc Opens the START menu. 34 Ctrl+Shift+Esc Opens Windows Task Manager. 35 Alt+F4 Close the currently active program.